For the first time, Wallace and Gromit’s Musical Marvels – featuring the iconic characters on the big screen with live orchestral accompaniment – will be shown in the resort. Join the dynamic duo as Wallace prepares to perform his musical masterpiece My Concerto in Ee Lad with help from his faithful canine companion Gromit. The screening features specially created animations as well as live orchestral accompaniment and escapades from the Picture House Orchestra and presenter Matthew Sharp. The audience will also get chance to see Wallace and Gromit film The Wrong Trousers, also with live orchestral accompaniment. 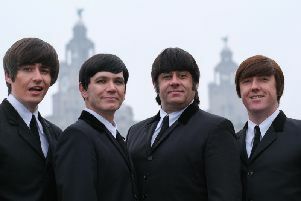 The tour is presented by Carrot Productions which previously brought its concert and screening of The Snowman to Blackpool as part of sell-out tours. Rachel Whibley, Carrot’s managing director, said: “With six years’ experience behind us of presenting The Snowman to thousands of satisfied audience members across the country, we are well placed to deliver this wonderful Wallace and Gromit programme. There are four performances of Musical Marvels in Blackpool, on Friday, May 17 at 1.30pm and 6.30pm and Saturday, May 18 at 2pm and 6pm. Ticket holders also have the opportunity to upgrade their tickets to include wristbands to the Pleasure Beach, which hosts the Wallace and Gromit Thrill-O-Matic ride. There will also be a chance to join a model making workshop before or after the show to learn from Aardman’s expert model builders and participants will be able to take home their very own Gromit. Tickets start at £13 each and the show runs for 85 minutes including an interval. 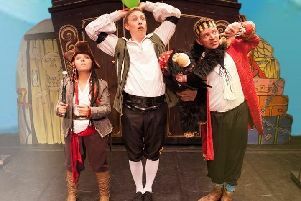 Friday’s earlier performance is also ideal for school groups, and pupils can attend this show for £10 each with a free teacher’s ticket for every 10 pupils.